310 Gladstone Circle - RENTED | Robinson Investment Company, Inc.
Beautiful, immaculate and spacious 6 bedroom, 4 bath home on a cul-de-sac in the highly desirable Country Estates neighborhood of Broomfield. 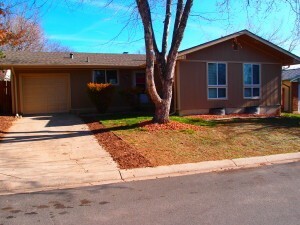 Rent is $2995 per month with a $2995 deposit. Minimum one year lease. Dogs are negotiable, but no cats. Utilities are not included. Snow removal and landscape maintenance are also not included. This 4246 square foot home was a custom build and features a bright, open floor plan that sits on an enormous lot. Walk in the front door to the grand foyer with vaulted ceilings and sunshine streaming into every room. This house includes both a formal living room and a family room with a gas fireplace. Enjoy your mornings in the breakfast nook which allows for barstool seating at the kitchen counter or a small table. Host your more formal affairs in the dining room. And every room on the main level can be seen from the kitchen, the hub of every home. The kitchen features granite counters and ample counter and cabinet space, including a pantry. There’s also center island with lots of room for prepping or serving, and a 4 burner cooktop. The main level of the house is 1929 square feet. In addition to the living room, family room, dining room and kitchen, the main level includes the master bedroom with master bath, a bedroom, a half bath, and a utility room with sink basin, washer and dryer (included). The main floor master bedroom overlooks the backyard and has access to the outdoor deck. The 5-piece master bathroom has a deep soaking tub, double vanity and a private water closet that includes the shower. There’s also a walk-in closet. Upstairs you’ll find 2 additional bedrooms, a full bath and a loft – totaling 737 square feet. Both bedrooms are connected by a jack n jill style bathroom. The loft opens above the grand foyer and overlooks the main level. The loft also includes built-in shelving, perfect for the home office. The basement is almost as big as the main level with 1573 square feet. And there are so many windows in the basement, it’s a very bright space. You’ll find a large rec room in addition to the 5th and 6th bedrooms. There’s also a 3/4 bath and several storage closets. 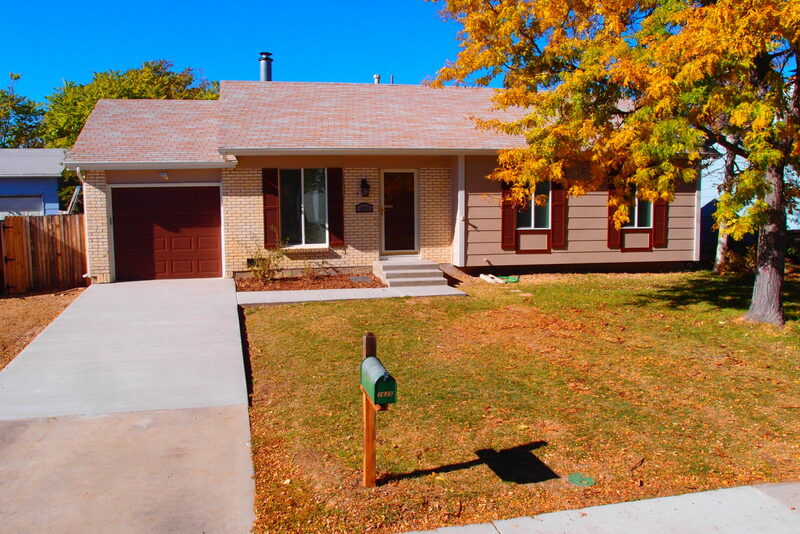 This home is well-cared for, features newer carpet, tile flooring, and is clean, clean, clean. Enjoy this coming spring on the outdoor deck that is canopied by a pergola and overlooks the large backyard. And this summer, you’ll appreciate the central air conditioning. The 3 car garage is 562 square feet and has a double door, a single door and, of course, door openers. You cannot beat the neighborhood here in Country Estates. All of the lots are large, so you’re not on top of your neighbors. Even better, you sit at the end of the cul-de-sac. Fabulous walking trails weave through the neighborhood and quickly take you to parks and expansive open space with panoramic views of the mountains. You’ll also be living in one of the most highly regarded and accomplished school districts in the state of Colorado, the Boulder Valley School District. Your neighborhood schools are Aspen Creek PK-8 (preschool, elementary and middle) and Broomfield High School. 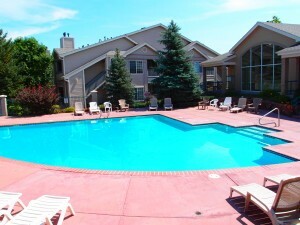 The location in west Broomfield also allows you quick access to both Boulder and Denver.